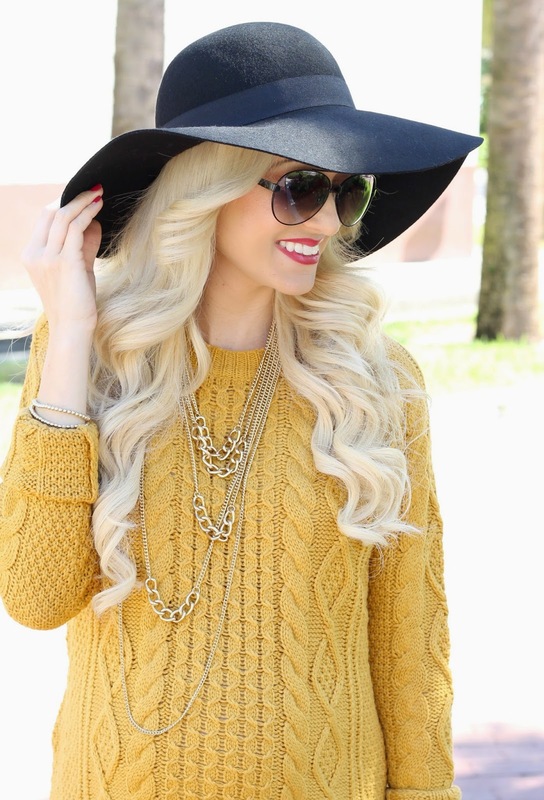 I have been searching for a mustard cable knit sweater for a couple of weeks. I love the color mustard for Fall. So I was so excited when I found a mustard sweater dress! Even better! I have really been into the sweater dress trend. It is such a easy Fall look to pull together. I obviously love it with over the knee boots. I even Found the baby a little matching mustard yellow cardigan! Also, these over the knee boots are by far one of the best purchases I have made. I have gotten so much use out of them. They are on sale so they are a great price and they are so comfortable. I highly recommend them. They have become a staple in my closet. Wow that sweater dress looks marvelous! Beautiful fall look! I can't wait for the sequel with baby in mustard color cardigan. Jade I'm obsessed with this mustard sweater with those boots!! Such a cutie! That sweater dress looks amazing on you! I love how you styled it with the hat and OTK boots! Beautiful and comfy outfit! Love your boho chic style! This is such an amazing color on you and I'm obsessed with that hat! Just gorgeous. Love love that sweater dress! #MadForFashionForLess Follow Us on Facebook! I love the mustard color! Looks like a great dress! Love the sweater dress trend. I need this whole outfit, it looks so put together but yet so effortless. You for sure pull this off. Loving your look.So chic and pretty .The sweater is gorgeous.